2012 Olympian; four-time USA Synchro Athlete of the Year; three-time U.S. Collegiate National Champion; four-time U.S. National Champion. These are just some of the accolades and achievements earned by Mary Killman, currently a senior at Lindenwood University and captain of their synchronized swimming team. How does one get so good at synchronized swimming, or anything for that matter? Surely, the complete answer could fill up a years’ worth of blog entries, but, for this article, we wanted to start at the very beginning of all pursuits – with the setting of a goal. ANA Synchro was fortunate to have Mary Killman deliver a seminar on goal setting at one of our recent summer camps. Goal setting is particularly relevant now because ANA Synchro is gearing up for another busy season of competition. Athletes here and around the nation are working hard toward a range of goals they set at the beginning of the year. Some want to make national teams; some want to improve their figure scores; and some want to be a good friend and teammate. These are all great goals, and they all start with an important decision to just go for it. Please read on as we ask Mary Killman to share what she has learned about setting and achieving goals. Mary: When Leah asked me to speak about goal setting, I thought “how do I make this fun?” It was the first day of camp, and I figured the girls would either have a ton of energy or be shy and not say anything. I gave them all a sheet of paper which basically had a little cross on it, and in each of the four boxes, there was a question. One was “What is your goal?” The overall thing I was trying to get across with them was that they should be setting a goal for themselves. They shouldn’t be looking around to other people’s papers and copying what someone else wrote because it sounded good. And they shouldn’t be setting a goal that their coach or parent or somebody else told them they should do. It has to be their own goal. They have to want it. ANA Synchro: It’s great that you emphasize that a goal should come from the athlete. It’s easy to see how athletes in any sport could easily repeat what their coaches or parents say and want them to do. Mary: A coach is not there to tell you how to think. Your coach can give you feedback on your goals, but they can’t set your goals for you. Once you set a goal for yourself, the coach will be there to guide you in the direction of where you want to be in the end. But it starts with you. You have to make a conscious decision that you want to aim higher. I knew that I wanted to go to the Olympics. I had some issues in figuring out the exact steps of how to do it, but the coaches helped me with that part of it. But the original goal was mine. ANA Synchro: What were the other three questions? Mary: “Why do you want to accomplish your goal?” If you have no idea why you want to do something, then it probably wasn’t your idea. “What will you do to accomplish it?” Write it down! You may or may not like it at the time, but seeing the steps helps you know what it will take to reach your goal. Finally, “What should you avoid?” If you don’t know what to avoid, you’re not going to get anywhere. Thinking it through like this works on anything from synchro to life in general. ANA Synchro: What happened to the goal worksheets after the seminar? Mary: After we made sure everything on the paper was coming from them and in their own words, I had them all sign it at the bottom. I told them now it shouldn’t be a paper that you just put in your bag and never see again. I suggested putting their goal sheet somewhere they would see it, where it will remind them why it’s there. For example, if you want your timing to be better in synchro, then put your goal sheet on your mirror to remind yourself to land drill. If you want to be a happier person, then put it next to your bed or on your ceiling so it’s the first thing you see. If your goal is to go to the gym more often, put it on your door so you see it every time you leave the house. ANA Synchro: It’s not like anyone else is checking whether you have your goal sheet hanging up or not. Mary: Right, it’s all your decision. I stress constantly that you can keep your goal sheet in a prominent spot, or you can throw it away. It’s your decision to learn and pull things away from this or any other seminar; I was going to be there talking anyway. Likewise, it’s your decision to listen to and learn from your coach during practice time; the coaches will be on deck no matter what. The bottom line is it’s your decision to get better or not; yourdecision to work toward your goals or not. 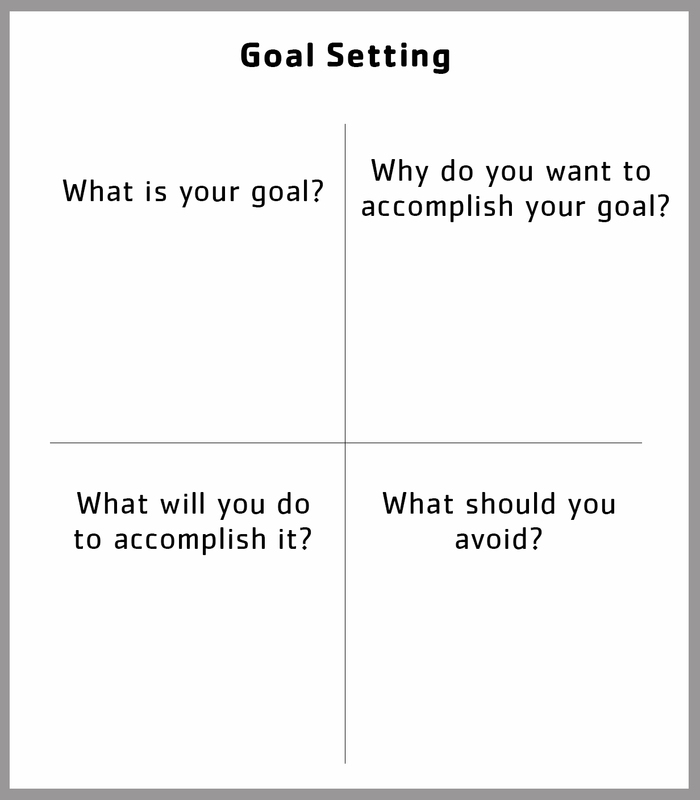 ANA Synchro: Goal setting can be a scary thing – it’s a ton of work to go after something, especially if it’s a big something; plus it stinks if you don’t achieve your goal. Mary: One of my dad’s favorite quotes to this day is by Henry Ford: Whether you think you can or think you can’t, you’re right. In other words, if you think you can’t do something, then you probably won’t achieve it. How you think about things makes a huge difference. If you doubt yourself, it hurts your performance. Nobody is 100% confident and positive all the time, but if you decide to do something and think you can do it, then you’ll work harder and have a much better chance of achieving your goal. I’ve grown up with this, and my dad was right. Your brain is telling you so many things that you can either pay attention to, or you can just ignore. When you make a goal, make yourself a promise that it’s OK, it’s what you’re going to do, and then go for it. Mary Killman (third from left) with ANA Synchro athletes at last year's US Nationals. The girls appreciated learning about setting goals and working toward them from such an accomplished athlete as Mary. ANA Synchro: And when it gets hard? Mary: My advice is to learn to want to learn. Understand that you don’t know everything. Learn to want to be coached. You never know what’s going to work for you unless you open up and want to learn about other people’s ways of looking at things. Of course, you can’t be afraid to look like an absolute idiot sometimes! This has been a challenge for me, and I can be my own worst enemy when learning new things. Even though I’ve been to the Olympics and I’m at this crazy-high elite level, there are times when I’m going to be below my knee in a vertical because of something I did wrong before. I’m still learning to be OK with learning new things, even when I’m not good at them. Now I say I’m just not good at them yet.